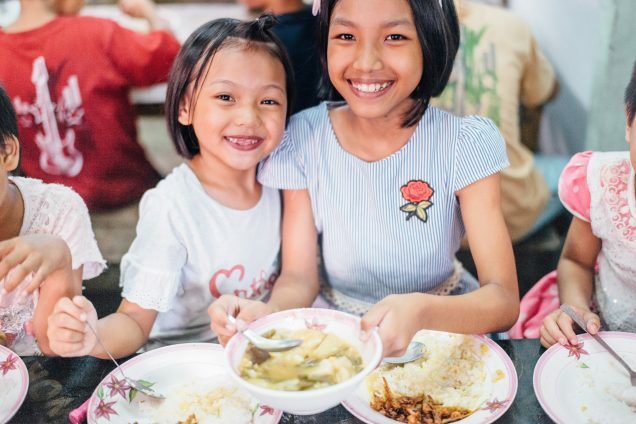 Photo: These girls are thankful to receive delicious, healthy, fresh-cooked meals every day at our Myanmar orphan home. 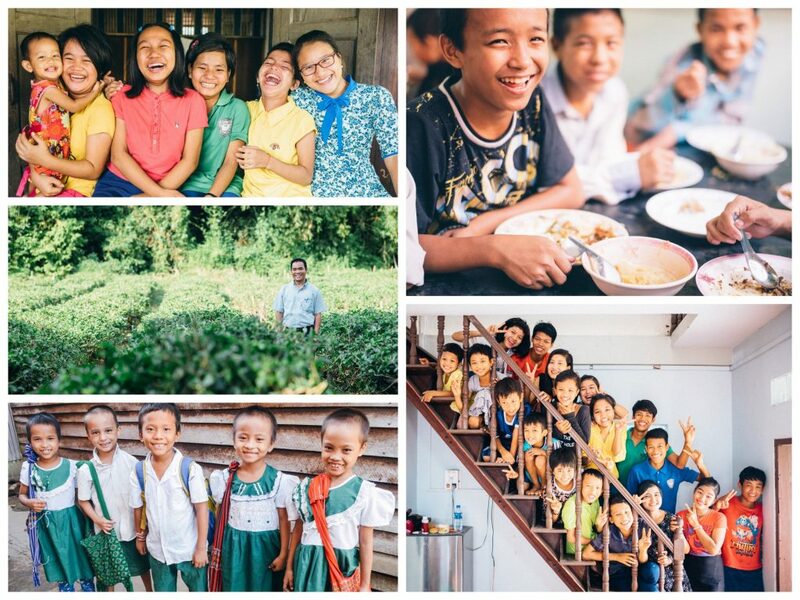 All of our children started back to school in November — they are continuing to study their native Burmese language, English, math, geography, history, physics, chemistry, and biology. As they study in school, they will also be preparing to take their end-of-semester exams in February (primary and middle school students) and March (high school students). Their hard work is evident in their progress at school: our children came from very remote mountainous regions where they did not receive an education, but now that they live in our orphan homes and are able to attend school with dedicated teachers, their initial grades of C’s, D’s, and F’s have improved to much better grades of A’s and B’s. When the older children are not studying, the boys enjoy playing football, running races, and playing other games together. The older girls enjoy jumping rope and singing songs. The younger children enjoy watching cartoons on TV and listening to music. To further bring our children joy, our native team is going to throw a Christmas party for the children at the end of December — they will organize fun games and activities for the children and serve them a special, festive meal with delicious food and drinks. Our team wants to give all of the children Christmas gifts, thus we are seeking to raise $2,500 to purchase new clothes for the children. On the 5 acres of land that we recently acquired for our forthcoming new campus, we are growing various vegetables and fruits such as chilies, mustard leaves, papayas, and bananas, as well as raising 25 free-range chickens currently, and pigs in the summertime. Some of our staff members live there right now to tend to the crops until we relocate the main campus to this location which is about one hour north of the city. The location is very peaceful and is not prone to flooding like our current campus. There is also a water well that is producing consistent and fresh water, and there are good public schools nearby. We are praying and looking forward to relocating the campus as soon as funds are provided to build our own facilities — we need to raise $75,000 to construct a two-story building, including a bathroom and library. We also need to raise $24,000 for a transformer in order to supply electricity to the new campus. Lastly, we are praying for funds to buy a new washing machine for $500, and for a new water purification machine. One of our two clothes washing machines on the main campus is broken, so we are using just one machine to wash clothes for over 40 children. The water purification system is breaking down frequently and needs to be replaced at a cost of approximately $2,500. We are also seeking to raise $750 in order to purchase a motorcycle so that our native team can travel back and forth from our current orphan homes to our new land much more easily than by foot. We also hope to raise $900 in order to purchase a freezer to better store food items and keep them fresh at our main campus.